For years after Deng Xiaoping’s decisive turn toward modernization in the late 1970s, U.S. business executives and diplomats supported not only opening the U.S. market to Chinese goods, but also a range of academic, cultural and even military contacts, on the theory that including China in a U.S.-led global system would induce Beijing’s Communist rulers to open their economy and, over time, political system as well. By now, it is abundantly clear to people across the political spectrum that this bet has not paid off. 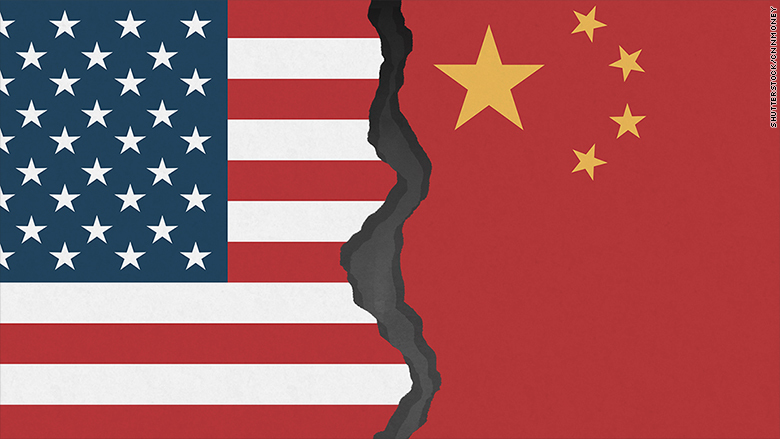 Where there was once a bipartisan consensus in favor of broad engagement with China, now there is almost equally widely shared disappointment with China’s failure to reciprocate as expected. I think the writer correctly cites America’s disappointment with China. We can go back three or four administrations and find presidents and other top US officials expressing the same sentiment: the more deeply engaged China is in the global economic system, the more cosmopolitan its leaders will become and the more likely it is to succumb to liberal political change. But that all-too-easy formula hasn’t worked. Nor should there have been such widespread expectations that it would work. It rested on an inflated notion of capitalism’s magic, and on a misunderstanding of China’s political history. For Chinese leaders during and since Mao’s time, the chief purpose of economic strength has been to promote social stability and elevate China’s standing in the world. Political liberalization, far from being the goal of a more powerful economy, has been the outcome to be avoided. “A fortress can be most easily captured from within,” China’s leaders have said, and “bourgeois capitalism” is the kind of force that, if not properly managed, can undermine the one-party state. Under Xi Jinping, China’s extraordinary economic rise has been coupled with stark social controls and emphasis on communist party discipline, precisely in order to prevent certain dangerous features of Western politics from infecting China. Chinese Communist Party Document No. 9 in 2013 cited seven threats to party control, including “Western constitutional democracy,” human rights, pro-market “neoliberalism,” and Western-inspired ideas of media independence and civic participation. That view, reminiscent of Mao’s concerns, should have been taken into account long ago by US leaders. The two most fundamental problems today in US-China relations are their utterly different political-economic trajectories and the structural dilemma of a (lonely) superpower facing a rapidly rising challenger. America’s disappointment with China is no basis for dealing with these problems—no more so than Chinese disappointment with America’s failure to acknowledge China’s new status in world affairs. China’s rise is irreversible, and the model of economic growth without political liberalization is going to have its appeal—and failures—regardless of American criticisms or insistence on forever being Number One. The proper US response is to compete with China—in trade, development assistance, accountable governance, respect for human rights, and protection of the environment, for example—rather than punish it for deflating American dreams. Hi Mel… How can the US compete with China, if we live up to our own ideals in trade, development assistance, accountable governance, respect for human rights, and protection of the environment. If our standards are such a threat to their one party rule, how can they indulge in trade with us. It appears corporate profit encourages gross hypocrisy by both countries. Wouldn’t the US have to lower it’s democratic standards to compete? Bonnie, no country has to lower standards to trade. If any country did put its standards first, the trade opportunities would be awfully limited. Of course, corporate interests, even in socialist countries, push trading with adversaries, as does the quest for vital resources (minerals, food, technology). Finally, major trading countries like the US and China see trade as a political weapon–an opportunity to gain support in the UN and other international organizations, and to gain strategic access to ports and bases, for example.